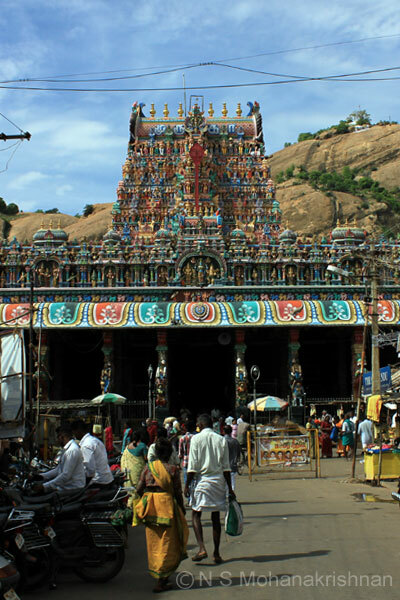 This is the famous Meenakshiamman, Chokkanadar temple where their Holy Wedding is believed to have taken place. 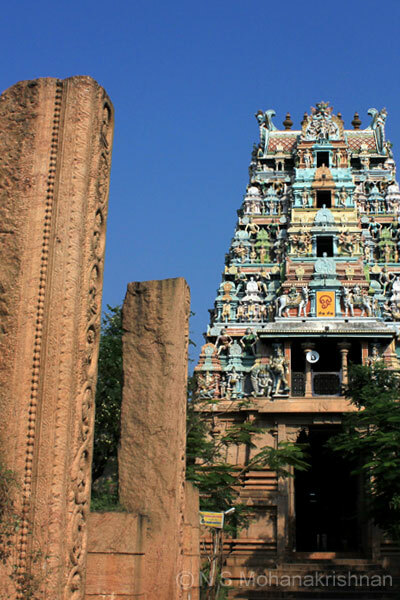 The Pandya Kings and the Royal Sethupathi Kings are said to have made many contributions to this temple although little is known about its History. 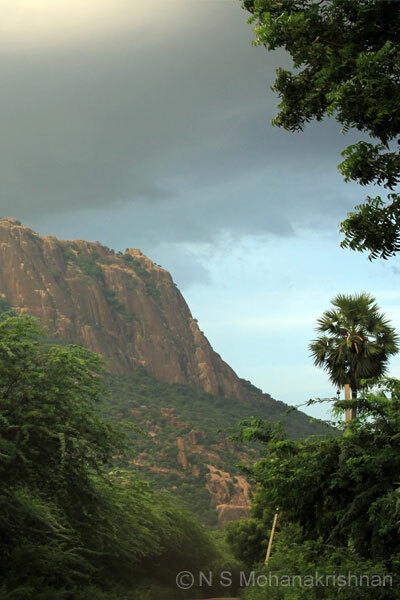 Piranmalai (Kodunkundram) Hill is believed to be a piece of Mount Meru taken when Vayu (Wind God) attempted to break it during a challenge with Aadhisesha. 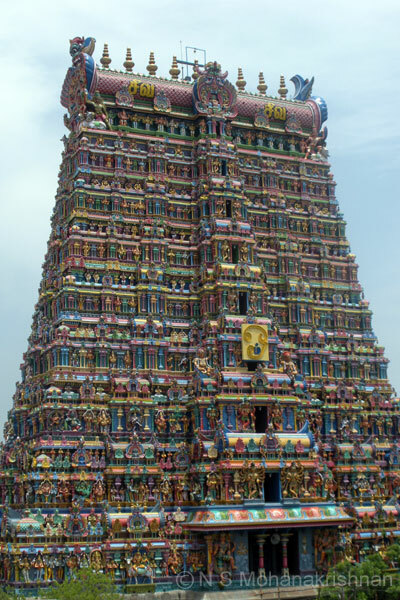 At the entrance the grand Sundara Pandian Mantapam followed by the seven tiered Rajagopuram provides a sight for sore eyes. 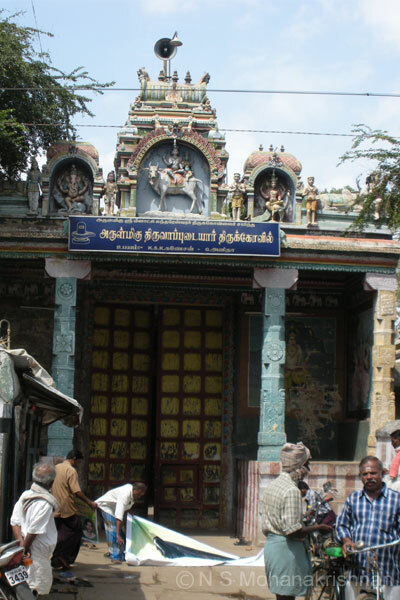 Thirugnanasambandar is believed to have cured a king (Koon Pandian, a hunchback) of leprosy challenging the Jains.